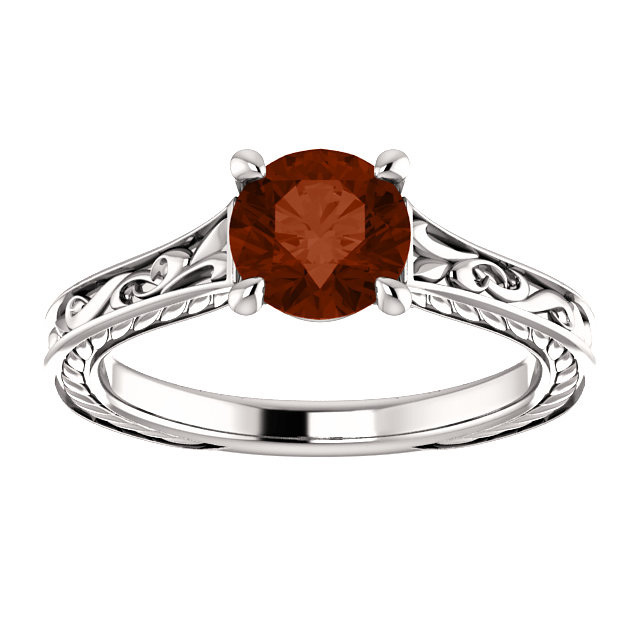 A genuine 6.5mm garnet gemstone solitaire is set in this unique 14k white gold scroll-work design ring, from Apples of Gold Jewelry. The band measures 2.5mm wide and has a setting height of 6mm. 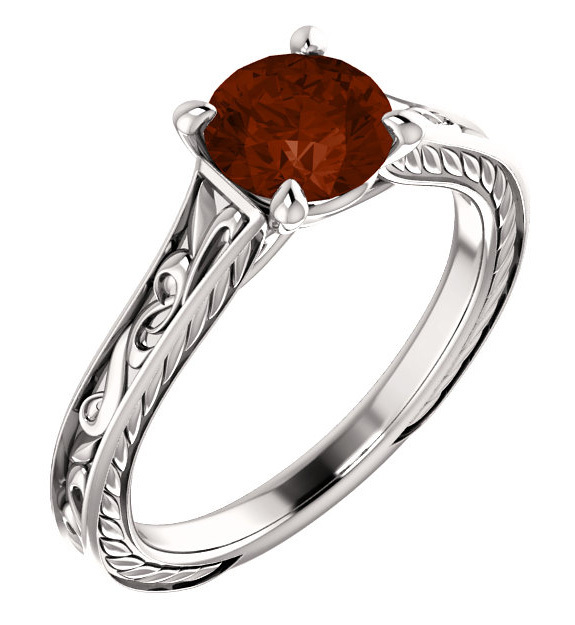 Perfect as a garnet ring for any occasion or can also make a great garnet gemstone engagement ring. 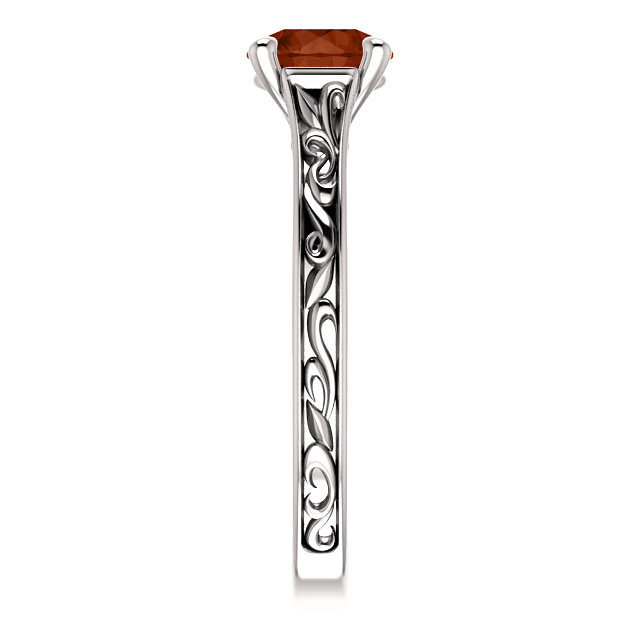 We guarantee our Garnet Scroll-Work Design Ring, 14K White Gold to be high quality, authentic jewelry, as described above.